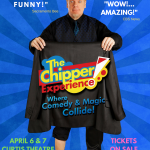 Chipper celebrates his 21th year of appearing at the legendary MAGIC CASTLE in Los Angeles, CA! 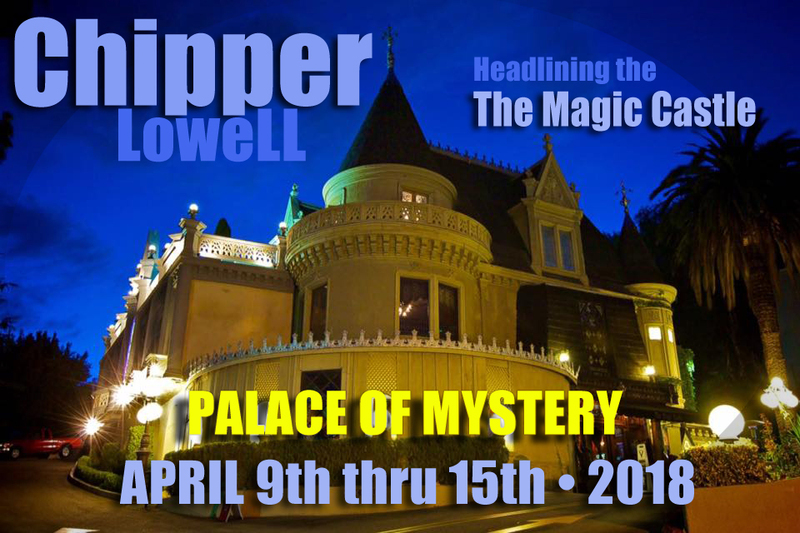 He will headline the main showroom – “The Palace of Mystery” for a one week, limited engagement. 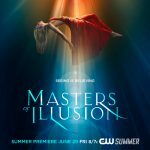 PLEASE NOTE: There is limited seating for these shows and attendance is by Invitation Only, or if you are already a member of the Magic Castle/Academy of Magical Arts. Thank you for understanding.